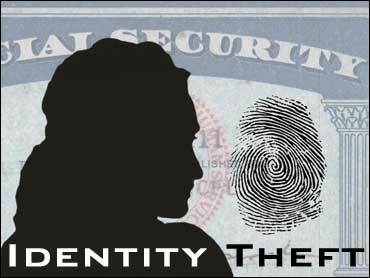 A computer technician who prosecutors said enabled the largest identity theft in U.S. history, surpassing $50 million, pleaded guilty Tuesday to conspiracy, saying he did not realize that his accomplices would do so much damage. "I didn't know the magnification," Philip A. Cummings told U.S. District Judge George B. Daniels, who set sentencing for Jan. 11. "When you provided the information to do this, you knew it was wrong and illegal?" the judge asked. "Yes," answered Cummings, 35, of Cartersville, Ga. Under a deal reached with prosecutors, Cummings may be sentenced to at least 14 years in prison after he pleaded guilty to conspiracy, wire fraud and fraud in connection with identification documents. The plea deal signed by Cummings and Assistant U.S. Attorney Marcus A. Asner permits Cummings to ask for a prison term of less than 10 years based on health problems, including heart trouble. But the government can oppose any such request. Cummings admitted that he enabled the scheme to occur when he worked from mid-1999 through August 2000 as a help-desk worker at Teledata Communications Inc., a Long Island computer software company that provides banks with computerized access to credit information databases. The government said Cummings agreed to sell to an unidentified co-conspirator the passwords and codes for downloading consumer credit reports. Tens of thousands of credit reports were stolen using passwords from companies, prosecutors said. According to court documents, Cummings was paid roughly $30 for each stolen report. The information was passed on to at least 20 individuals who then set out to make money from the information, feeding a network of criminals nationwide. The scheme involved tens of thousands of victims and caused losses of between $50 million and $100 million, the government said. As part of the plea deal, Cummings agreed to forfeit any property he obtained as a result of the crimes.